Description: Freedom Day, January 22, 1964, Hattiesburg (Miss.). 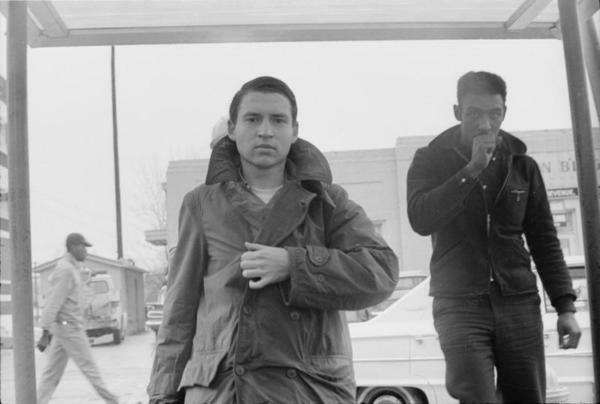 White male in center, Oscar Chase, Yale Law School graduate working with SNCC. According to a May 18, 1964, article by Howard Zinn in The Nation, Chase was arrested by Hattiesburg police on Freedom Day and "beaten bloody and unconscious by a fellow prisoner while the police looked on."